← Story Deli – Reopened at new location! This place is just lovely. The moment I stepped inside I wished it were weekend and I could stay for hours (instead just for dinner on a Monday). The interior reminds you of a French chateau or maybe more of a mixture between that and an English, super cosy pub with all kinds of curiosities. 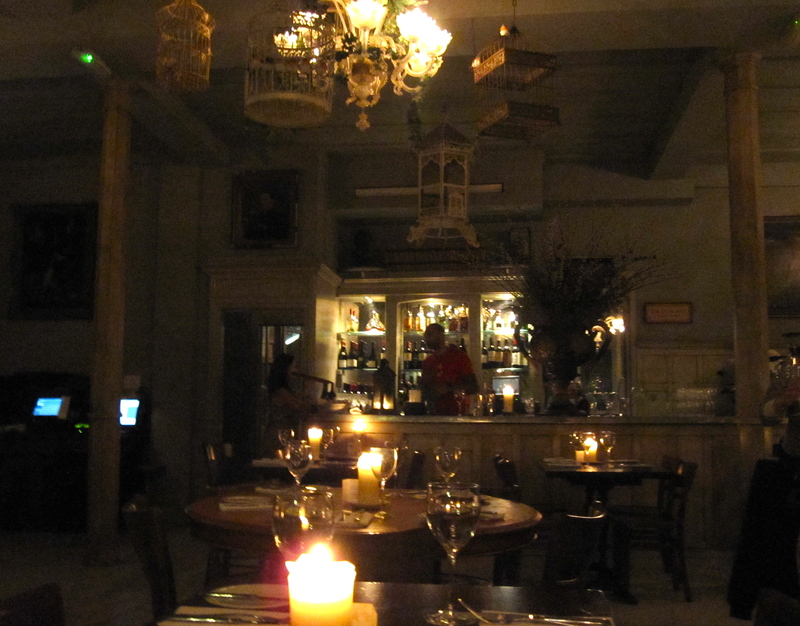 Glorious food, good wine, weathered ‘Old Master’ paintings on the walls and bird cages (without birds) on the ceiling. I had dinner at the Paradise last night and really enjoyed it. The atmosphere was great and the Saturday night resident DJ was spinning an amazing mix of funk, soul and hip hop!